Dust hovers in the air behind Silvino Cubésare as he dances up the mountain that lays before us. The sun has me soaked in sweat within minutes, but Silvino seems barely to notice the heat. At one point he covers his head with a slim piece of fabric, but otherwise he is impervious to the sun. We run for a while in silence. The climb, the hill, the up is relentless. This road is long and winding, beautiful… undulating like the ocean floor. Es facil para ti? I ask at some point, in fractured high school Spanish, hoping what I’m asking is is this easy for you? He reveals the crescent of a smile and shrugs. Si. Of course. Silvino is one of the best ultrarunners in the world, but he doesn’t look like what you’d expect from the title. Surrounded by the vast green peaks of the mountains whose shadows we run in, covered in pine trees and cactus, Silvino blends in perfectly. His feet are not soundless, tapping along lightly in battered red Solomons, but I have not heard his breath once. It’s almost as if it’s disappeared into the vast nature that echos on each side of us, but the wilderness that takes his breath away might also be what propels him forward. There is a group of us running tourists behind him, all here because of a project called Aire Libre dedicated to encouraging people to experience more of the world through running. They are a small but dedicated team of trail runners and explorers who understand the effect getting into the mountains has on a person’s connection with the world around them. Aire Libre is spiritually minded, ensuring that the runners on their trips spend time on self reflection while also being able to engage with the communities they are visiting. On the mountains today, the visitors are all slower, carrying water and chowing snacks every so often, while Silvino and his son Eleazar prance along energetically. Eleazar clutches a plastic water bottle in one hand but never seems to need it. The pair of them stop and wait every now and then for the rest of our group to catch up. They find a shady part of the trail and simply take a seat. Relaxed. Easy. When they stand they hang to the edges of the group. Silvino adopts the same position, always- hands behind his back, legs apart, solid as the ground he stands on but light as the wind, seeming as if he could fly away at any moment. He is casual, humble, but confident. Aware of his strength. This is how he exists, in his homeland. Probably one of the greatest runners on earth, but he is happy just to be out there doing what he is… and isn’t that ultimately what any runner desires? Any human looking to reconnect with themselves? To find that flow, to be strong, to just exist and run? On the trails he is relatively quiet, though he jokes around with us later when someone asks what he wears beneath his skirt. I’ve heard it said that you gain the most when you ask nothing, and Silvino asks nothing of the trails. Later, in Batopilas, after we’ve all stuffed ourselves on pancakes, scrambled eggs and refried beans, he and I sit down to chat. I can only speak with him through a translator. He never makes eye contact with either of us, instead looking as though he is distracted by something in the distance. The street we are on is the one lane that runs alongside the river, the only road in this town. We are surrounded by colorful walls bordered by open skies and giant hills, so close you could reach out and touch them. What is it like growing up as a child here? I decide to ask, as we take in the scenery. How do you become a runner? He speaks so casually, but the Raramuri, the running people are not known in general for traveling and competing. So why did Silvino choose that path? And yet… traditionally isn’t running, here, more of a spiritual thing? How do you relate to that while being competitive? Are there other similar ceremonial running events or is that the main one? He seems reluctant to explain further, or maybe I just haven’t asked in the right way. I think of him running around with his son. Is that something fulfilling to see between generations, a continuation of tradition? As far as being part of a trip like this and being able to share this area and these runs with us as foreigners, what do you hope we take away from this? I notice his answers grow shorter the more we ask. Might it be easier to ask something more direct? What does it mean to be Raramuri? “Raramuri actually means people of the light feet. I am definitely proud of being Raramuri but other than that I don’t have other… not much other…” My friend who is translating struggles to find the phrase. He pauses. “It is what it is?” I ask. And as much as we try to understand about this culture… perhaps it really is that simple. To us who were introduced to the world of the Tarahumara when “Born To Run” exploded onto the running scene, these people seem mythical. Some saw the discovery of this culture as a marketing opportunity- everyone started eating chia seeds and minimalist shoes gained popularity, which is vaguely ironic. Some people wanted the secrets to athletic prowess. Others shook their heads and said the Tarahumara should be left to themselves. Whichever opinion yours might have leaned towards, everyone was ultimately just curious how they did what they did. But as Silvino exemplified, the Tarahumara way of life is best explained by its own existence. What being Tarahumara is not: a group of Nike-endorsed athletes, the latest shoes, huge sums of money. There are no rigid training plans, strict diets or gym memberships here. 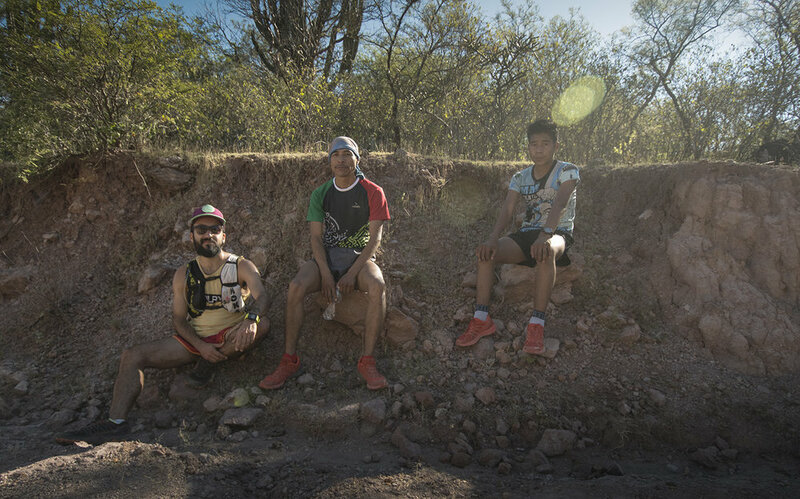 These are just people, living their lives in the canyons of Mexico, for whom running has always been an intrinsic part of life. A simple yet powerful act that, in these majestic and lonely hills, plays a part in everything. Everything links back to running. It is just another reminder that running is, by nature, a part of all of us. 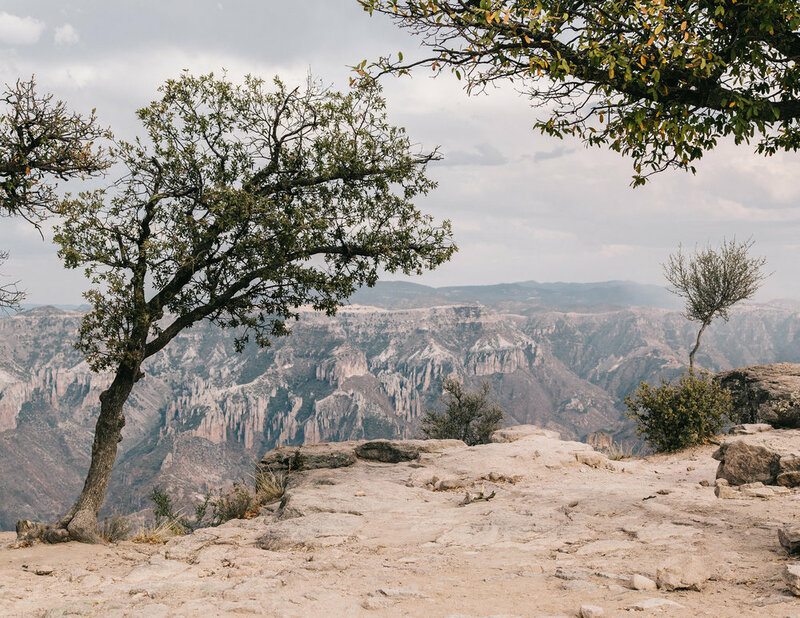 The Tarahumara are simply closer to it than others- they have never abandoned our ancestral gift, that ability to fly over mountains with the power of our own strong bodies. the land they live in and the world around him. For Silvino, running is simply what it is. Kenaia Neumann is a travel-obsessed running addict. A Seattle native with a year in Singapore under her belt, she is currently living near Houston, TX in search of her next great adventure. Kenaia documents her travels, gives advice to budget travelers and discusses all things running on her blog, kenaianeumann.com. Recent excursions include Rome and Reykjavik, and we’ve had the privilege of running with her in our Oaxaca & La Sierra Norte retreat as well as in our last Tarahumara & Copper Canyon getaway . Kenaia believes in exploring the world through running, food and a sense of adventure.